Even in winter it's possible to follow some of the backroads of the United States Forest Service maps. 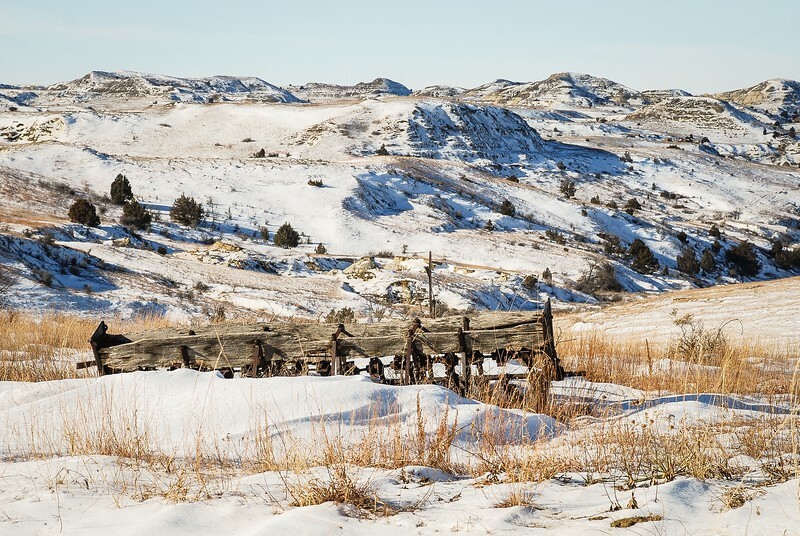 A bright, sunny winter day enticed us to do some exploring west of the Little Missouri River, north of I-94. Thanks to our trusty Jeep, and warm winter boots, we were able to go deep into the heart of the badlands. There we discovered gems! I wonder. When we go back to this road in the summer, will we spot this old grain drill, so long past it's prime?